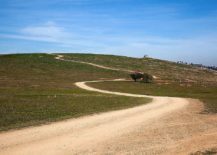 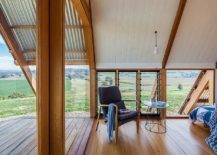 A vast estate that stretches into the outback, solitude brought in by nature and a getaway that brings classic and modern design elements together in a dramatic fashion – JR’s Hut on the Kimo Estate in New South Wales has it all! 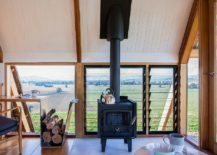 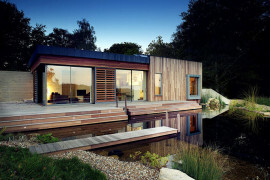 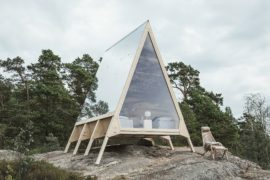 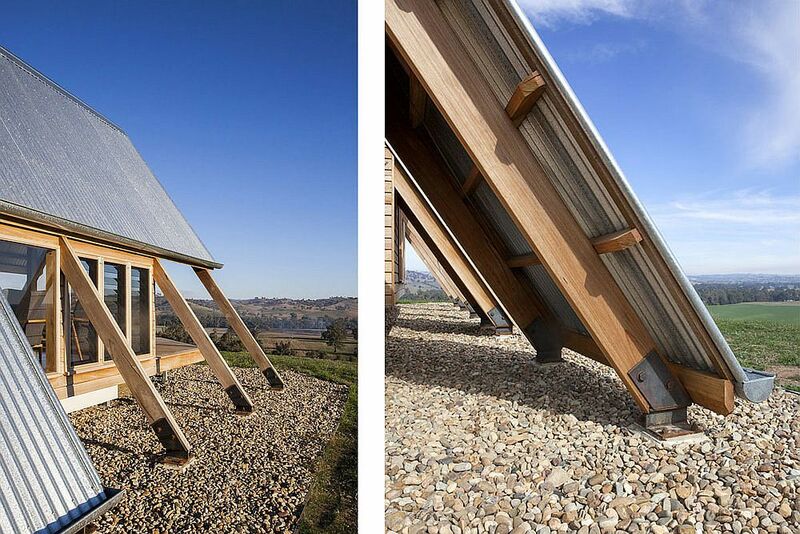 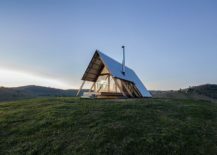 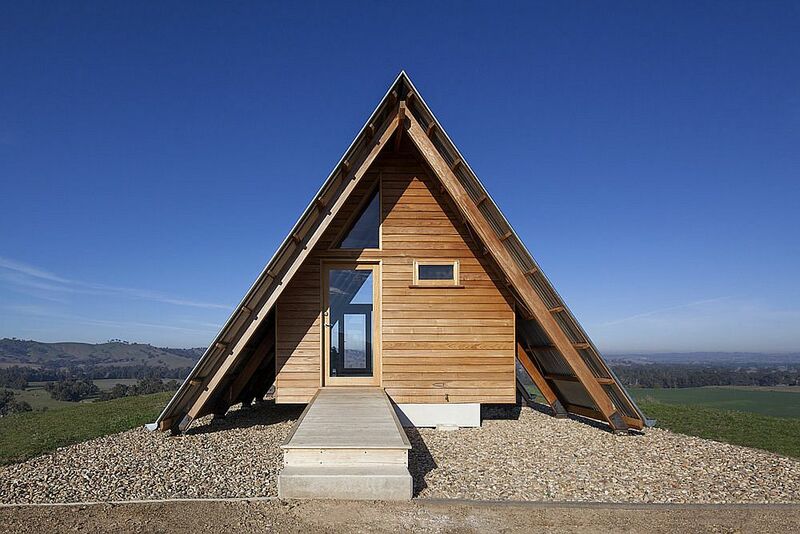 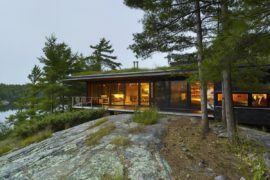 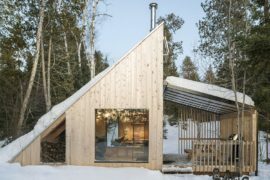 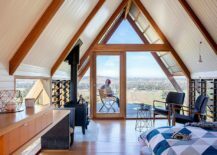 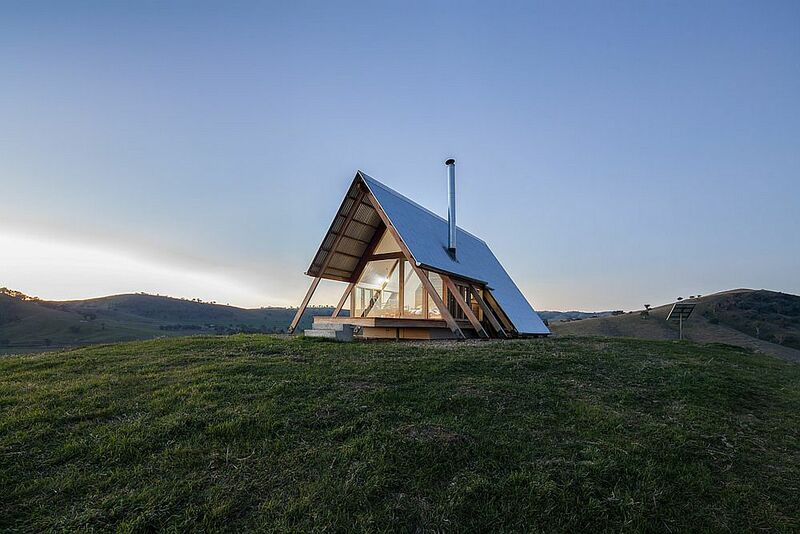 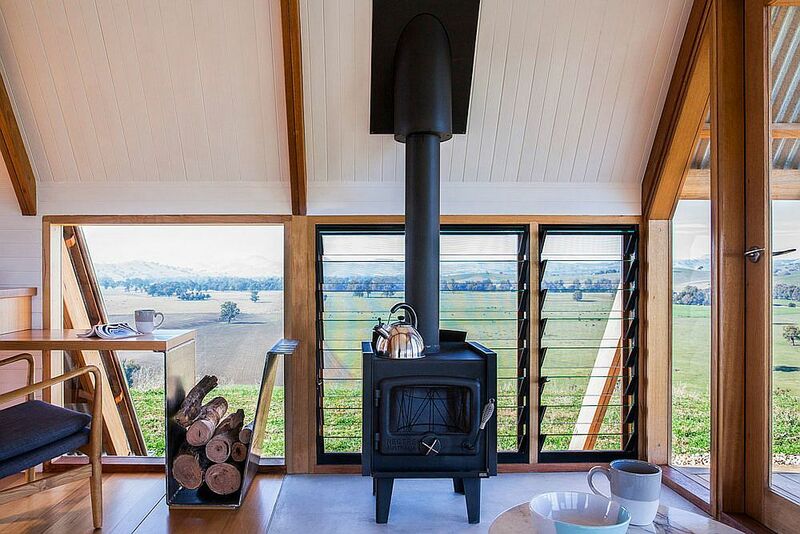 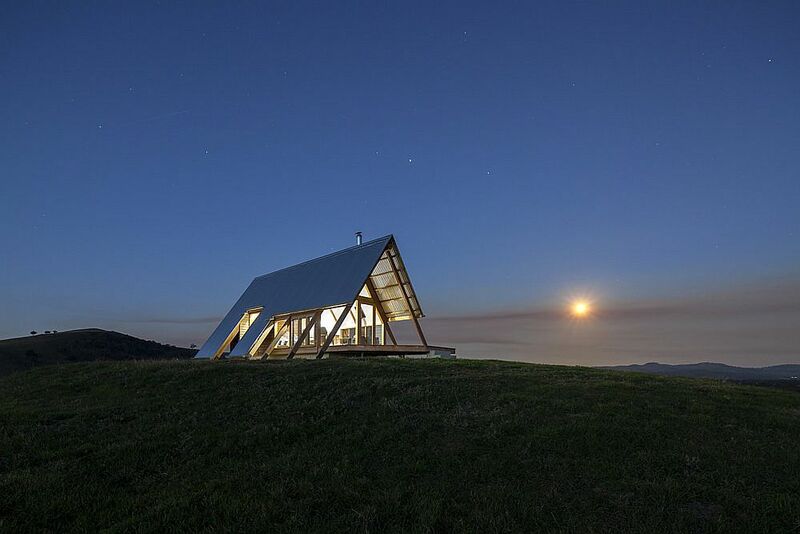 A design that was pulled off together by Anthony Hunt Design and Luke Stanley Architects, this woodsy little escape embraces the form a classic A-frame tent and does so with plenty of modern finesse. 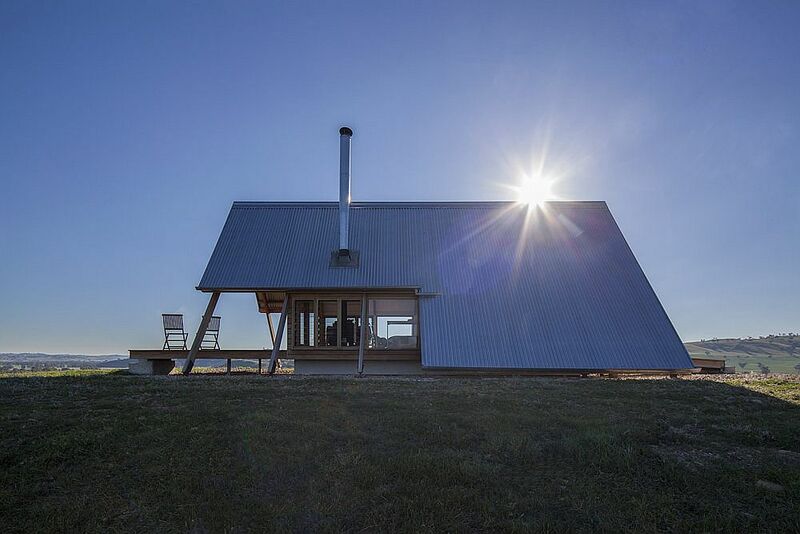 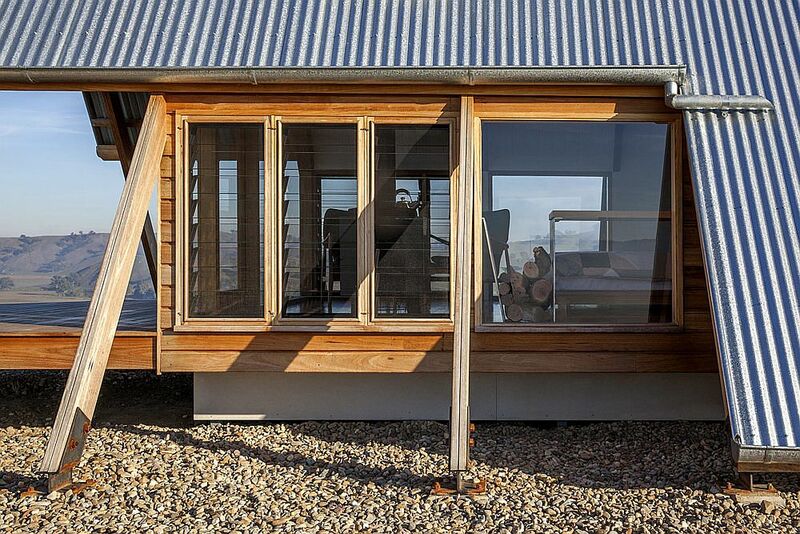 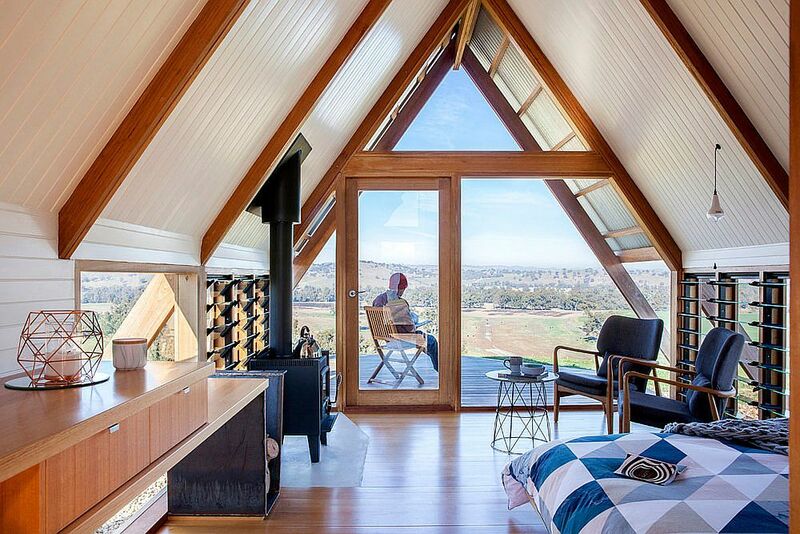 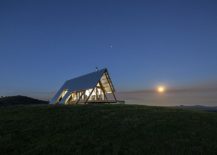 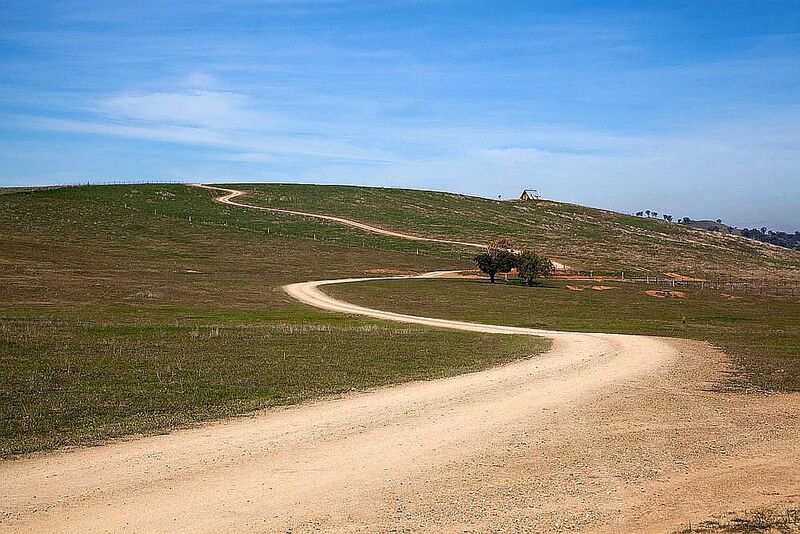 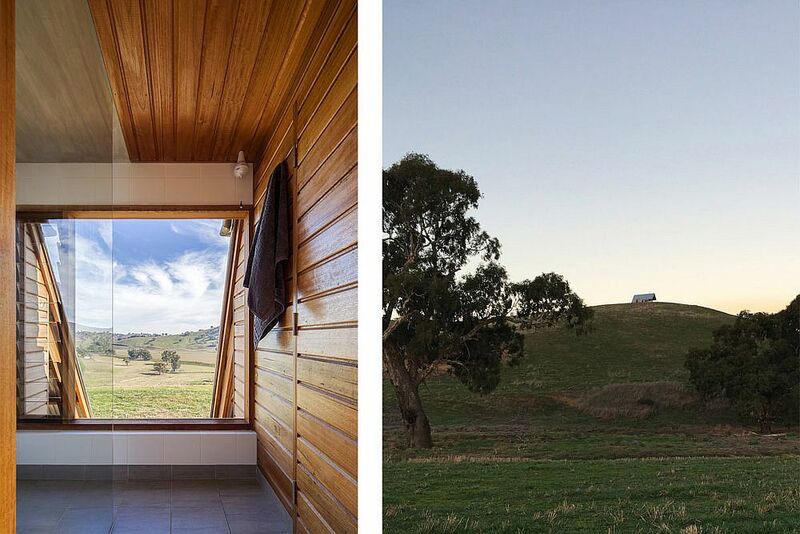 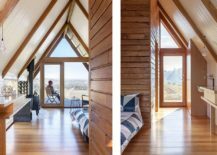 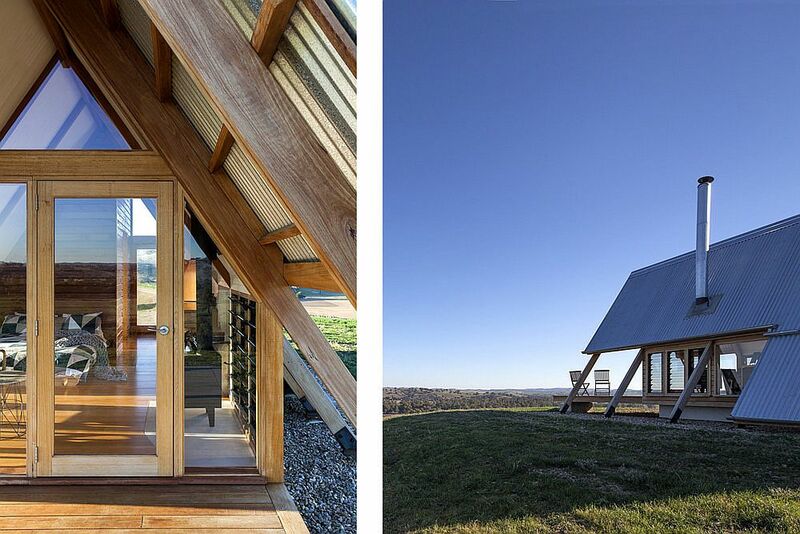 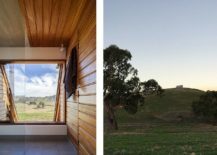 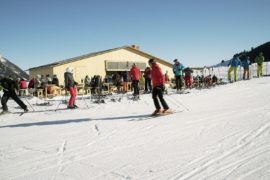 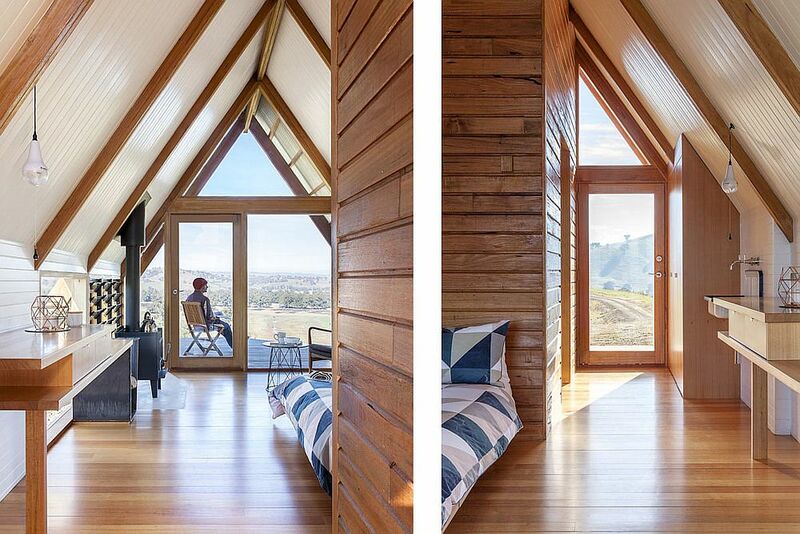 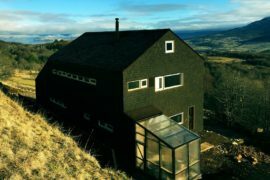 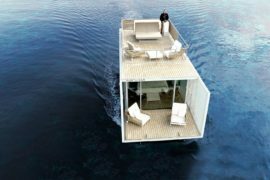 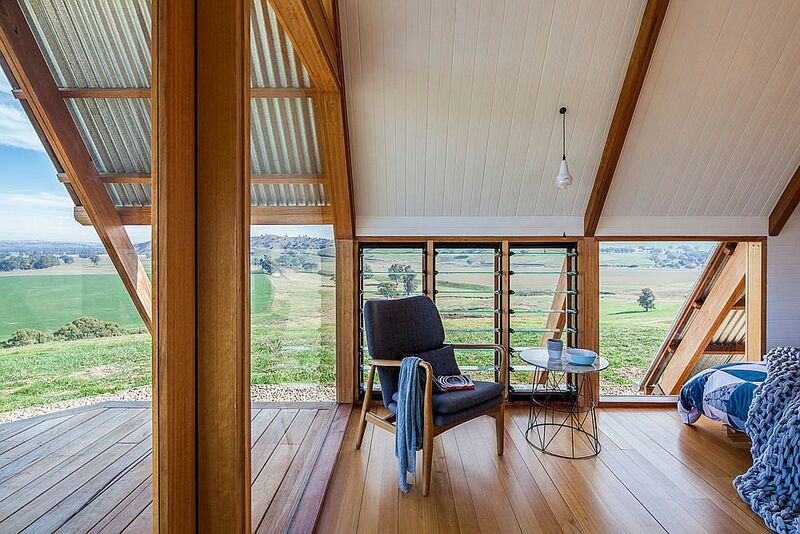 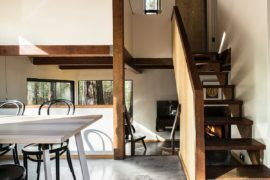 Nestled on the tranquil Aussie estate, the cabin acts as a beautiful refuge and a lovely outpost, offering wonderful views of the panoramic backdrop.